I don’t think the bold brow trend is showing any signs of stopping any time soon. Cara Delevingne is still the pioneer for the bushy brow look but it is not always something us mere mortals can get right. I suppose she does have a team of people making her look fabulous constantly… We’ll give her that. Most of us worry about the dreaded "scouse brow” or looking like were forever angry due to over filling of the eyebrows. Don't fret. Here are a few of my tips I’ve picked up when attempting the heavy brow look. Pencils are so 80’s. A go-to for brows for generations, but I can’t help but think the whole thing is really dated. While there a few good eyebrow pencils out there nothing looks as natural as a nice soft powder. Choose a shade that is either the same colour as your brows or slightly darker in tone if you want a really dramatic look. I love the Illamasqua Brow Cake in Thunder, it’s slightly darker than my natural brows but can be used wet or dry to give different effects. Think about where you place your pigment. What I like to do is lightly apply product to the middle of the brow, brush down from the arch and then blend into the front to shape. Typically the front of the brow is most sparse, but applying too much pigment to this area can make them look fake and over defined. Blend outwards and always remember to tap off before application! As with foundation, one colour doesn’t fit all when it comes to brows. Some brows have grey undertones, red undertones or neutral undertones. Picking a shade that's too cool or too warm can make your brows look fake. Mix and match different shades to find the perfect shade for defining your arches! 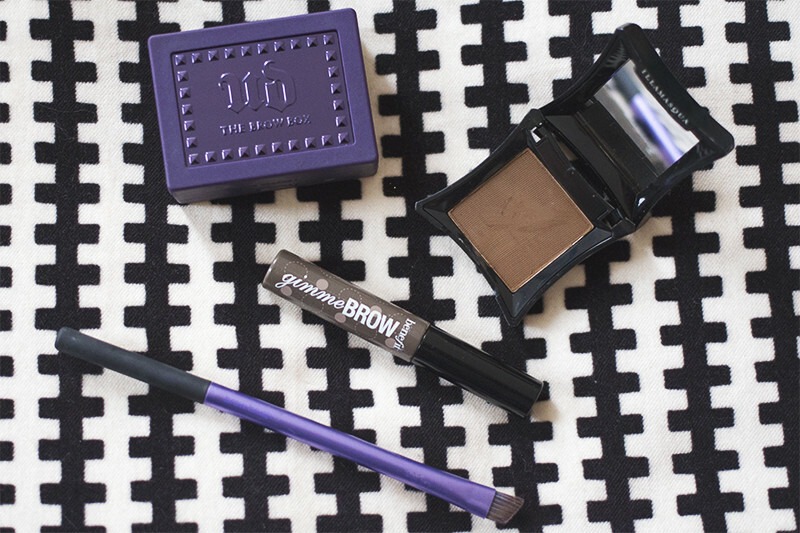 The Urban Decay Brow Box has one lighter shade and one darker shade as well as a wax for taming the brows down. How do you feel about bold brows?